Today in things I didn't know existed. The Citroen E-Mehari. 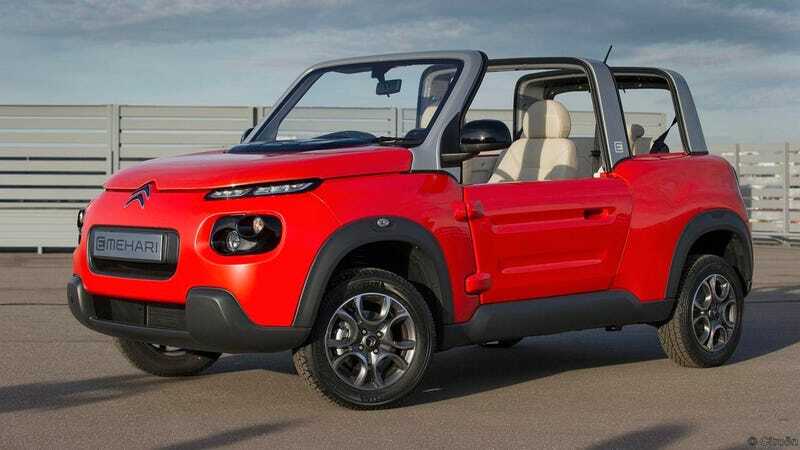 A modern, electric, interpretation of the original 2CV-based Mehari. I had no idea this was an actual production car. I want one. Top speed is a highway-capable 110 kilometres an hour (70 miles an hour for The Americans and The British) and production is limited to 1000 units. It also comes in a very nineties teal colour. The interior is very spartan. In my opinion though, that’s a good thing. The OG Mehari wasn’t exactly an S-Class either.